In this two-part blog, project leaders from across our studios share their experiences of designing digital product for kids. In part one, we tackled the big picture – asking ourselves what should the digital products we make for kids look like? What should we use for inspiration and how can we keep them challenging? Here in part two our designers, coaches and product leads share their top five user-testing tips to help get your project off to a flying start. In part one, we explored what can we do as digital designers and makers to create experiences that give a child that ‘my finger is magic’ feeling. Now we go back to the beginning – looking at what we can do in the earliest stages of a project to help create a finished product that is meaningful and magical. As we explored in part one, we need digital experiences for kids to be intuitive – and what we think is intuitive as adults is definitely not the same for kids. As much as adult designers need to discover their inner child, there is still no substitute for co-designing and user-testing with kids. Alongside user-testing, we also focus on observing learning and play. Together they help ensure that, throughout production, the product is pitched to match both children’s imaginations and their capacity for learning. Here are the five key things that our teams focus on to get the most out of the sessions. Kids don’t just need feedback when something goes wrong – digital experiences aimed at children need to feedback on interactions as you go through not just at a point of success or failure. The same goes for user-testing. Many apps used by adults are functional ones – banking, messaging, searching, shopping and so on. It makes sense that these interactions are as seamless as possible. You want to log on, get what you need and leave – imagine if paying your bills every month involved navigating a series of bouncy animations… very frustrating. Just as the principle of giving feedback applies to the product, it also applies to testing with kids. If children don’t get the feedback they need to make sense of something themselves, they turn to grown-ups – asking why things happen, what to do next or even what the point is. During the making of the Sky Kids app for example, the team noticed how frustrated kids got when they pressed the play button on the lo-fi prototypes they were testing but a video didn’t play. It was hard for them to suspend disbelief and carry on with exploring the prototype – they wanted to know why it wasn’t working. Practicing co-design and observing non-digital play at the very first stages of a project will make sure your finished digital product is informed by the way that kids really play and learn. The cognitive and experiential gulf between children and adults means that observation, testing and co-design is key to creating a product that meets their needs – and they actually want to use. Similarly Jay, a Design Lead at ustwo London, explains “Just letting kids play around gives us some of our best ideas. We’ve asked them to draw stuff and come up with stories for things and characters – their minds are brilliant.” This is doubly important, he points out, as adults we often try and “rein in” our ideas – designing in tandem with kids like this encourages us to push them further. This is also a helpful step in making sure the tenets of traditional play – like exploration, imagination, freedom – are all built into the foundations of the digital experience. Kids develop really fast. A product targeting 4-year-olds is going to be completely inappropriate for a 7 year old – too easy, too slow, too ‘babyish’. You need to be precise about what ages you are targeting or thinking about adapting features to target a broader age range. This is something ustwo Nordics PlayLab team noticed when creating experiment BlipShop – a digital experience that aims to give playing shop a digital makeover by introducing scanners rather than traditional cash-registers. The youngest testers, who were around 3 years old, were too easily distracted by the new environment and found the scanning mechanic a bit too abstract. The four to six-year-olds on the other hand, have had a lot of fun playing BlipShop. They started scanning and paying for items with little to no introduction. They quickly memorized the pricing of the different items in the store and some scanned all of the items in the store to find out their prices, to make sure they had all the information. Whilst observing preschoolers (3-5) we would judge the length of engagement, facial expressions that indicate delight, boredom or frustration. At this age of their cognitive development, the children express enjoyment through discovery, repetition and demonstrating their achievements to others. When a child would tap areas of the app and see no response they would lose interest, trying other areas to swipe or tapping with more force. With older kids shrugging their shoulders, saying, ‘It should do this, why doesn’t it?’. Making testing feel safe is integral for both the comfort of the children you're working with and the quality of your results. Lots of things can contribute towards a positive testing atmosphere. Adele – a project manager from the New York studio – suggests creating a bright, comfy environment, keeping it informal with snacks and making sure recording devices and cameras are placed unobtrusively. Another way that to make testing more comfortable is by testing in groups of two or three – we’ve found that kids often share more openly with their peers compared to a bunch of grown-ups with clipboards. Whilst making the child feel comfortable and safe during testing, you also need to be aware of how other factors may be influencing their behaviour. Some major things to consider include the time of day testing is conducted as well as who else is in the room. It's often necessary to conduct research sessions in the afternoon because of the school and work commitments of participants and their guardians – this can mean sessions running on into the evening. James says it's not uncommon to see dwindling energy levels that result in “a reduction in engagement and feedback.” Keep this front of mind as you plan your sessions – make them as streamlined as possible and consider conducting testing during school holidays if you can fit it in with your project timeline. We hope these points are a useful starting point for your project, if you have questions or are interested in making a digital experience for children – reach out at hello@ustwo.com. If you missed it, you can also go back and read part one on what makes a meaningful digital experience for kids here. 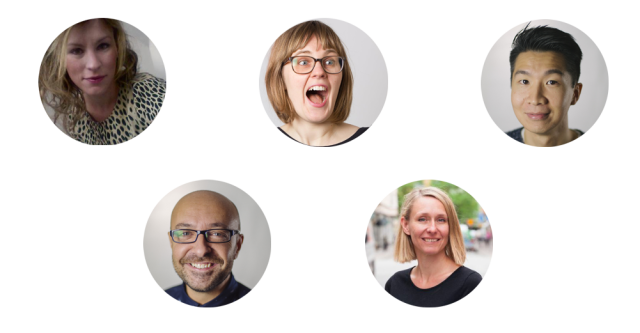 Our contributors to this post – Adele, Emma, Jay, James and Camilla – are a group of Product Leads, Designers and Coaches from across our global studios who all have experience of making digital products for kids.